Ray Donovan is an American 60 minute scripted crime television series, which kicked off on June 30, 2013, on Showtime and is broadcast every Sunday at 21:00. The show is currently in its 6th season. Showtime has officially confirmed the renewal of Ray Donovan for Season 7. The exact release date is yet to be announced so far. Sign up to track it down. 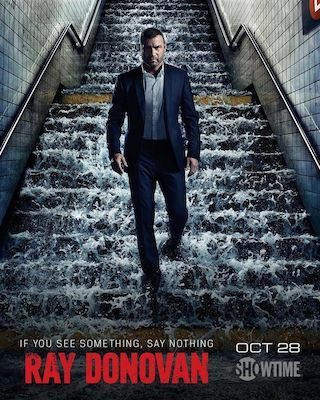 Set in the sprawling mecca of the rich and famous, Ray Donovan does the dirty work for LA's top power players as the go-to guy who makes the problems of the city's celebrities, superstar athletes, and business moguls disappear. This powerful drama unfolds when his father is unexpectedly released from prison, setting off a chain of events that shakes the Donovan family to its core. On December 20, 2018, Showtime officially confirmed that their action drama Ray Donovan had been renewed for a seventh season. The exact release date is yet to be announced. Add Ray Donovan to your list by clicking the button "Track" to track down the show's status. As soon as Showtime reveals the release date, you'll see it on this page. As season six progresses, Ray's journey in New York has been fueled by his subconscious need for help. After his life was saved by a Staten Island cop named Mac (Domenick Lombardozzi), Ray must navigate the complicated debts and emotions that grew out of that relationship while also trying to save the mayoral campaign of Anita Novak (Lola Glaudini), the favored candidate of Sam Winslow (Susan Sarandon). On the family front, Mickey (Voight) is on a mission to hunt down Ray to seek revenge and Ray struggles to cope after Bridget (Kerris Dorsey) tells him that she must break away from her father and the havoc his life has brought.